Articles Speakers CornerHow have you been affected by the NHS crisis? How have you been affected by the NHS crisis? In the run up to the General Election, according to every newspaper and news report, the National Health Service is in crisis! Every year, the workload of the NHS peaks in winter. Cases of flu, chest infections, winter vomiting and other bugs increase during the colder months. Underlying the pressures on the NHS is the simple fact that it must care for an ever-growing and increasingly aged population. The UK population has increased by 4 million in 10 years, to 64 million. Eleven million of us are now over the age of 65, a group which has been growing, and will continue to grow as a percentage of the population, as longevity increases. Elderly people are more likely to fall ill, and more likely to require both urgent and routine healthcare. 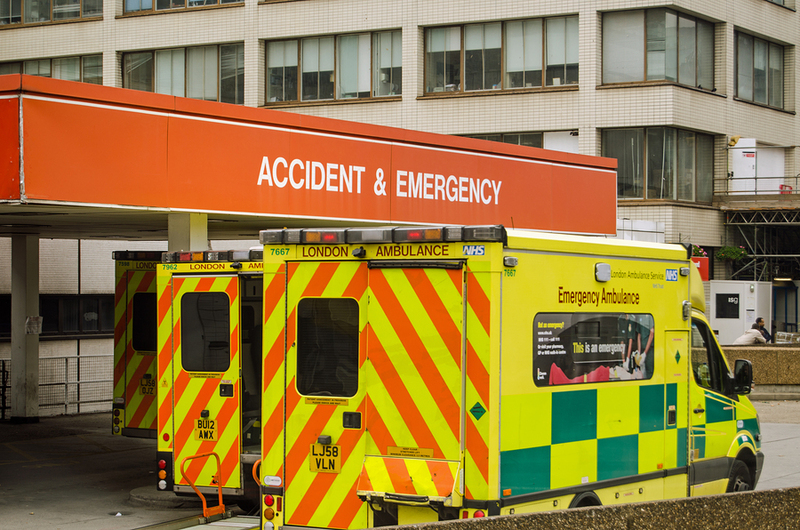 It is estimated that around 30 per cent of those who attend A&E could have been treated elsewhere – by a GP, pharmacist, or minor injury unit. However, GPs are facing their own crisis, for many of the same reasons as hospitals: a growing and ageing population, and more long-term ill. The NHS’s telephone triage service, 111, is thought to be sending more people to A&E or calling out an ambulance more often than the old NHS Direct services. Have you been affected by the NHS crisis? What recent experience have you had either with your GP surgery of visiting your local hospital? Have you been affected by the NHS crisis? On waiting list for foot op, waiting list a year been waiting coming up to 18 months and no sign of it yet. Thats crazy cannot believe it can take so long on the waiting list! My parents are still alive and aged 88 and 87 yrs old.I have been their primary carer for four years and during that time they have been in and out of hospital for various reasons. Hospitals are not very clean anymore and the food is disgusting. Nurses in the main are marvellous,though my Mum found the "bank" nurses to be uncaring.Also they don't seem to communicate with each other properly about the patients in their care.This I believe is due to not enough staff and little time allowed for each patient. I must congratulate the para-medics who have done a marvellous job for my folks over the past 4yrs and continue to do so. I have 3 auto-immune disorders that I manage myself with help from my GP and private therapies. Due to age and childbirth I also have a prolapsed womb and bowel.I have waited well over a year for an appointment after referral.This is not acceptable in my opinion. Sadly the NHS is not as it used to be and poor Aneirun Bevan would be mortified if he knew. A and E departments. too many people, attending unessessary! In August my husband suffered a ruptured aortic aneurysm which is a critical situation & surgical emergency. On arrival in A & E he was left in the corridor for 15 minutes as nobody bothered to triage him. Then, despite my asking for pain control twice as he was in agony, it took 1 hour 16 minutes to arrive. He died a few minutes later. I'm a registered nurse with many years experience in the NHS but the current situation is the worst I've ever known. Can I just mention that since 2009 all men 65+ are entitled to request a scan to monitor for abdominal aortic aneurysm and should be routinely invited to have one by their GP. If it hasn't been offered to you ASK..... It may save your life. For many years I have had an annual 'well man' checkup at my GP surgery to measure blood pressure, cholesterol, PSA etc. These are indicators of both specific and general health issues which can occur as we age (I am 64). These checks have enabled me to remain healthy by picking up problems early on. So I have been able to keep my blood pressure within normal limits with no drugs, lower my cholesterol with statins etc. I was therefore astounded when, at my last checkup in April 2014, I was informed that these annual checkups would cease as I was 'too healthy' and they needed to concentrate resources on 'the ill'. A letter of complaint to the surgery manager and a follow up meeting with my GP proved fruitless. The time for my annual checkup is now approaching and I will have to go private if I wish the same kinds of measurements I used to receive on the NHS. So much for being proactive, looking after my health by taking responsibility and thus saving the NHS loads of money by remaining healthy! I was in St James in Leeds couple of months ago. If there is a crisis it has not reached ward 29. The doctors and nurses were most attentive, caring, thorough and cheerful. The ward was spotless, the food was adequate. they were brilliant. Nothing was too much trouble. I was very depressed when I arrived but seeing those young people going about their jobs so cheerfully restored my faith. They deserve a medal. I am 88 and had a hip replacement operation. I had been active but needed an op. because of arthritis. Until then I used to walk everywhere and was very fit for my age. The operation was a success and I am grateful to the wonderful surgeon. However, the aftercare meant that my stay in the ward afterwards was purgatory and by the time I returned home my immune system was so low that I had to take antibiotics for viruses . My body clock was all over the place and it took me ages to get back to normal, both with sleeping and eating. While in hospital I found there was little or no pain from the op. so I was very lucky. I tried to keep a low profile and not be a nuisance, but that did not help. One night I needed to use the lavatory. I got up quietly and made my way there and back with a walking aid. However, on my return a nurse came charging out and said ‘Do YOU know what time it is? It’s 2 a.m.!' I did not reply, but wondered what was I supposed to do anyway? I never answered back as I realised I could not do such a difficult job. I think that a few of the nurses were so rushed that they were ‘burnt out’ and had not time to care, so it was not their fault. There was kindness, such as nurses bringing me extra blankets and tucking me in when I was cold. However, several times I got ‘ticked off’ by nurses for no reason, as though I was a naughty child. For instance, one kind health assistant loaned me a pillow slip to cover my eyes so I could get some sleep, but when another night I asked a senior nurse could I borrow one as I could not sleep, she snapped, ‘If you were really tired you could sleep’ – so no pillow slip – no sleep that night! Yet this was the nurse who, soon after my operation, kindly asked me ‘Would you like some stronger pain-killers?’ I was nauseous the whole time I was there (6 days) so although the meals provided were good I found it hard to face food or even a cup of coffee or tea. I managed a couple of bowls of soup and forced myself to eat a piece of toast and an occasional half a cup of milk. I needed to survive as I am the sole Carer of a loved one. I could not sleep because of the bright lights and the noise such as the beeps of patients pressing their buzzers for assistance. Even when returning home in the ambulance I was bilious and ill, but could not be sick as my stomach was empty. Ancillary staff, ambulance people, physiotherapists etc. were all outstanding and extremely helpful. I believe that any more cutbacks in nursing staff would prove disastrous. If you have to be admitted to hospital, remember to take a sleeping mask and ear-plugs with you – AND don’t be old! They say that the NHS is suffering because we are living longer. However, most pensioners now are tax payers, due to paying into pensions schemes from their employments. We are taxpayers now until we die, and as we are living longer there should be loads more money in the coffers to put into the NHS. This is not so, due to copious amounts spent on people who have never paid a penny. This is not rocket science and these extra taxes should be put into the NHS and not given as Foreign Aid where the people who need it do not get it, or as benefits to people who flock to this country purely for the benefits they receive. NHS Gloucester has nothing but my admiration for the service they provided before Christmas for my son. He had a sports injury a while ago just before christmas his knee locked. He had an emergency appointment with consultant two weeks later on a tuesday then the following wednesday he had his operation. Although Gloucester declaired an emergency over the holiday period we have always had prompt service from them. MY 85 year old neighbour had to wait 4 hours for an ambulance when she fell after her artificial hip joint slipped out of place and because she was at home and in no danger so an 20 year old drunk had to be picked up out of the gutter and tended to first. Why not use old containers as drunk tanks until they sober up then make them clean up after themselves instead of clogging up A & E waiting rooms. Their problems are self induced an old lady's fall wasn't. Think you are right. Years ago I had to take one of my daughters to A&E in Guildford on a Friday night and it was packed with drunks and people who had been involved in fights. I remember saying to the nurses it was a crazy situation and she said it was like that every weekend. Mind you difficult to put them in containers that could be hosed out as we would "offend their human rights" ? Luckily I haven't been affected but I do think twice about going to the doctor at all anyway as I don't think the level of care is as good as it was - it feels like everything is about targets and bureaucracy. Not enough GPs working over Christmas + peak time for illness = Huge pressure on A&E. I think you make some good points here Lindz. Not sure about the Tory Posh Boys...in some ways if the NHS was privately run it would probably be more efficient BUT I am not advising that. It should be a right for every single person in the UK to obtain the same medical facilities. Surely the Uk government need some totally independent academics toi do say a 6 month study of the NHS..come up with recommendations and then implement them. Cannot be that difficult-we sent men to the moon in 1969!!! Lindz-Yes totally agree with you about the cost-hence my view that the NHS should be free as anyone should be able to take advantage of its facilities and yes us Silversurfers who have paid tax all our lives should be able to use it cost free. My only point is the majority of large private companies are more efficient than government run ones and hence its worth the debate-All the best! And I couldn't agree more about the "economic" migrants...I would love that job of getting the money from non paying patients. Makes for interesting reading Gillymegs, but Labour, in my opinion, didn't privatize on the grand scale that Cameron is and will finish the NHS off if he gets in again in May... in my opinion. Lol! Yes, I would join you if you ever get the job of parting those people with their money! Sorry Wilf have to disagree. Private companies are now walking away from their NHS contracts as they can't make any money. Health should never be for profit. Consecutive governments need to stop meddling in the NHS and allow the NHS to get on with providing excellent service which is value for money. I believe there has been a crisis in the NHS for a long time, and it will never! go away. For as long as this country `welcomes` people from out of this country onto our shores, these people have not paid a penny into OUR National Insurance, yet we `sometimes` give them priority over our own citizens, this problem will continue-Charity Begins At Home! Jo-That is the most stupid thing I have heard in a long time. Thats exactly why the NHS is in a bureaucratic mess. We should get a petition up on Silversurfers as I am sure many of us at our age use the NHS more than ever. I've had a couple of run-ins with 111 in the past 12 months. The first was when my husband had such a bad headache that I thought he had an aneurism - he never makes a fuss and he could not move and was in the most awful pain. I was fobbed off on the phone by someone with absolutely no medical knowledge so had to find the nearest hospital (we were in Devon) and then drive him there only to get an advice call from the GP 4 hours later - he could have been dead! The next time he was crippled with headache I just called out a private GP. She was with us within 45 minutes and he was pain free within 3 hours - it was the best £120 I've ever spent. I think they should shut down rediculous 111 and put the money into more medical staff. Sorry, I could go on and on about this. The NHS is a very important part of our lives in the UK and we should be doing everything we can to make it work better and it should not be used as a 'political football' - it should function outside politics - it is our taxes which pay for it after all. It seems the NHS is on the top of the news everyday now and both political parties seem to be fighting over it and saying they have the solutions. Not sure they do. From a laymans point of view there seem to be too many managers paid too much and not enough doctors and nurses. I also cannot see the point of 111. One of my friends has just been seriously ill and phoned them a number of times-got no sense whatsoever so just went to the nearest hospital and got seen to. Seems to me the introduction of 111 has caused even more issues. For all of us our health is our most impotent issue and so fixing the NHS is a priority. With more of us everyday getting older the government needs to get a grip and sort the issues out. I agree with you Archiebald - more nurses and doctors and less administration and rediculous systems!